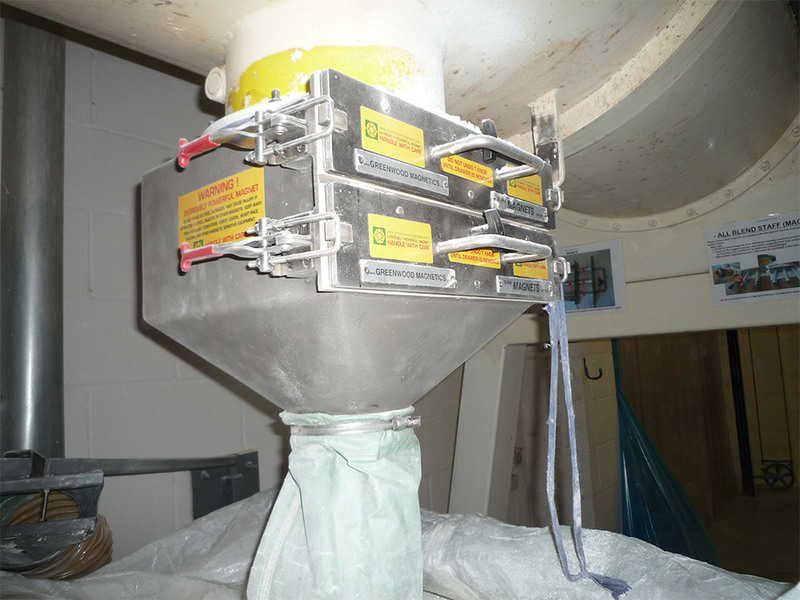 finish supplied to a world leading confectionery manufacturer. 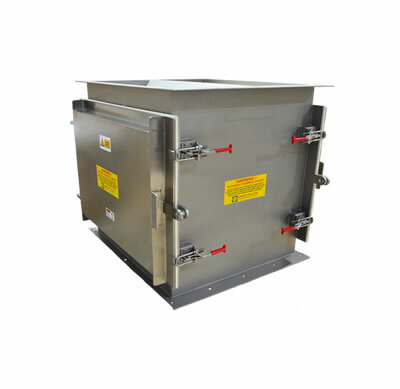 The Greenwood Double Row Easy-Clean Magnetic Grid Box is an inline magnetic separator used in gravity feed chutes for the efficient extraction of ferrous particles within powder or granular materials being processed. 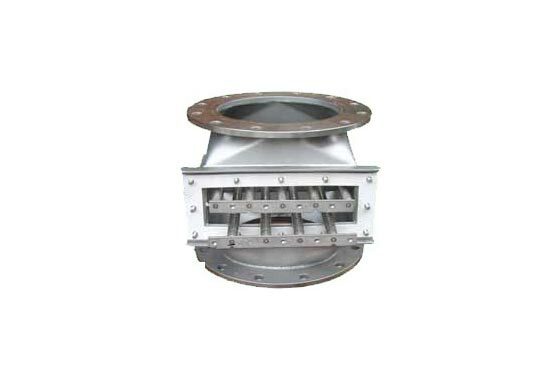 Manufactured in stainless steel, the flanged housing enables easy installation. 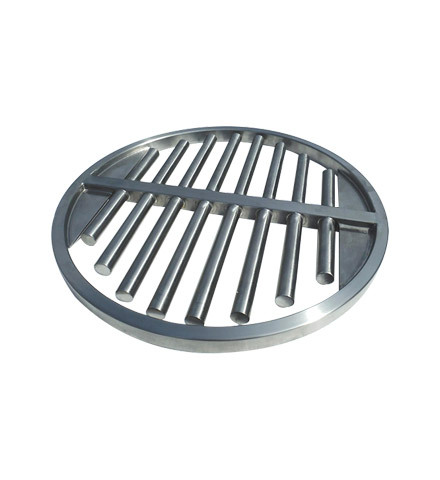 The double rows of magnetic grids are arranged alternatively, providing an excellent method of extracting ferrous contamination. Cleaning is extremely easy. Simply remove the quick release door, withdraw the grids from the box, and slide the magnetic tubes from their housing. The contamination drops off easily. The Magnetic Grid Box With Adjustable Tubes is sometimes specified by customers where the size of product and rate of flow may alter. 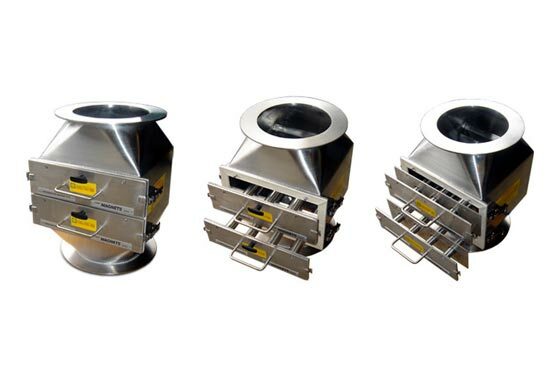 Hence the customers can add or remove the magnetic tubes according to their wishes. 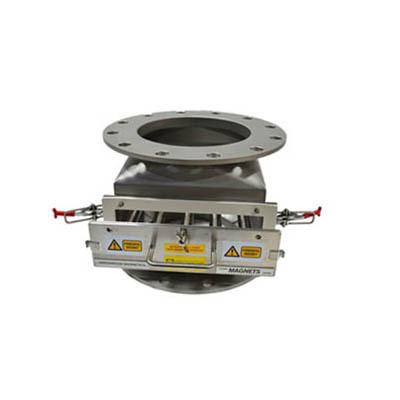 This also enables the customer to alter the spacing between the tubes according to the specific nature of the product and the flow rate. Magnetic grid box with double row adjustable grids. 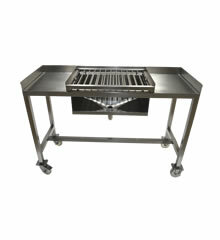 This particular model independently pressure tested to 6 bar and operates at 120°C. 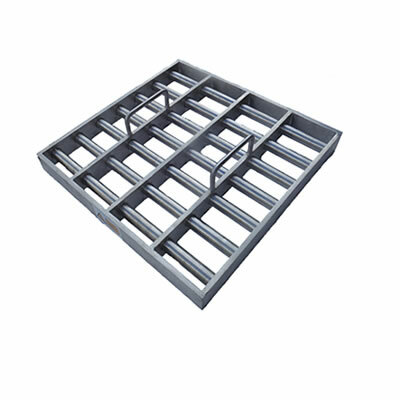 We also manufacture various other types of grid boxes depending upon the application required. See also our single row magnetic grid box. Greenwood Double Row Magnetic Grid Box filtering metal contamination from an ingredient blending line.